CHARLOTTE, N.C. — In a tucked away corner off the main entrance of Levine Children’s Hospital, Ryan Seacrest is walking a red carpet for the official grand opening of Seacrest Studios, his growing philanthropic effort to bring multimedia experiences for kids to enjoy during hospital stays. Seacrest looks about as cool as one might expect, with a pressed navy blue suit, open-collar white shirt and shiny black shoes — and, of course, the perfect tan. His celebrity is helping draw attention to a worthy cause. This is the fifth such studio he has opened at a hospital — the others being in his hometown of Atlanta, Dallas, Philadelphia and Orange County, Calif. However, in Charlotte, Seacrest is getting the chance to experience a first for him — working on a philanthropic effort with a NASCAR driver. He invited Martin Truex Jr., who has been involved with Levine Children’s Hospital through his Martin Truex Jr. Foundation, to be part of the opening, and Truex Jr. jumped at the chance to team with Seacrest. 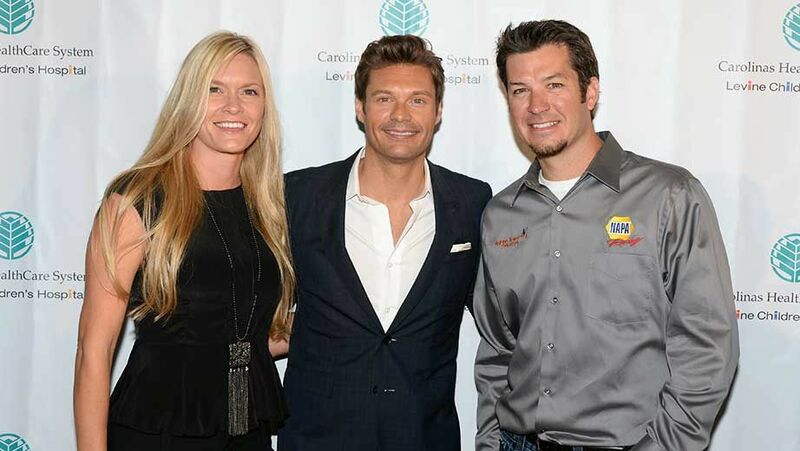 Seacrest’s reason for having Truex Jr. join was because of how closely NASCAR is tied to the Charlotte community and philanthropic causes in general. Seacrest gave a sample show from the 652-square-foot studio just inside the Overcash Atrium at the front entrance to the hospital. He manned the microphone in front of two large computer screens and a soundboard, while the guests of his show — Truex Jr., recording artist Austin Mahone and hospital patients Carmen Diaz and Darien Gray — sat at the five microphones to his left. While Seacrest asked the questions and took a call-in from Selena Gomez, the show was broadcast throughout the hospital. Seacrest’s hope is to someday link up the various hospitals and create a pediatric entertainment network. Kids can also play in the studio when it’s not being used for shows. That’s not to say there won’t be shows. Seacrest has a list of shows lined up for the Charlotte studio, including one in August when American Idol Live is in town. He quipped that he had a little something to do with pulling the strings for that one. 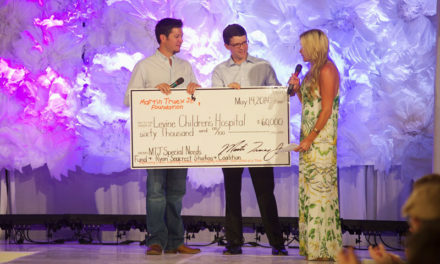 For Truex, teaming up with Seacrest is a chance not only to help the kids at Levine Children’s Hospital but also an opportunity to gain exposure for his foundation.